 The basic fundamental course is suitable for those with no prior experience in Permanent MakeUp techniques. Learn about the concept of PhiContour, hygiene and safety requirements and the legislation, contraindications, colour theory and device control and the techniques for lips and eyeliner step by step. You will also have an opportunity to practice these techniques on a live model under total guidance from your Master. The Basic Education is an intensive 3 days, upon completion of the live training, you will receive 6 months access to CraftMaster, an app written specifically for PhiAcademy students. Within this app there are hours of lectures, video material and lessons to view. You will also have levels to complete within the 6 months access. Upon successful completion of these levels, you are graduated to a PhiContour Artist, endorsed with a PhiContour Artist Certificate, unique logo and be placed on the PhiAcademy World Community Map. We’ll travel to you for exclusive workshops for groups of 3+ (NZ) and 5+ (AUS). A convenient option for clinics wishing to train multiple staff members and save on travel costs. Contact us at: students@phiacademy.co.nz to learn more.